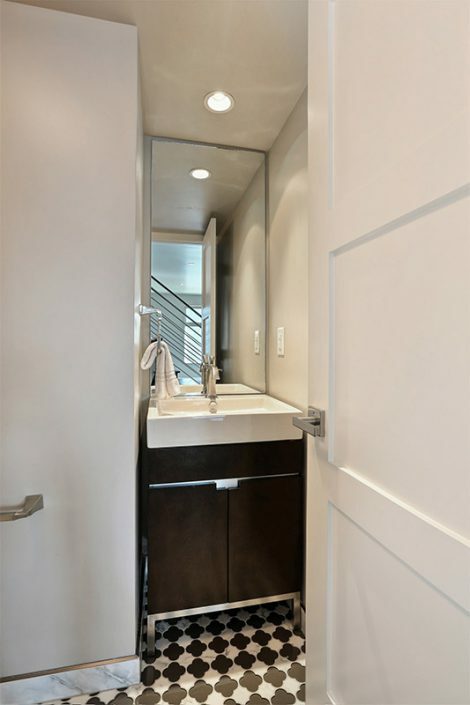 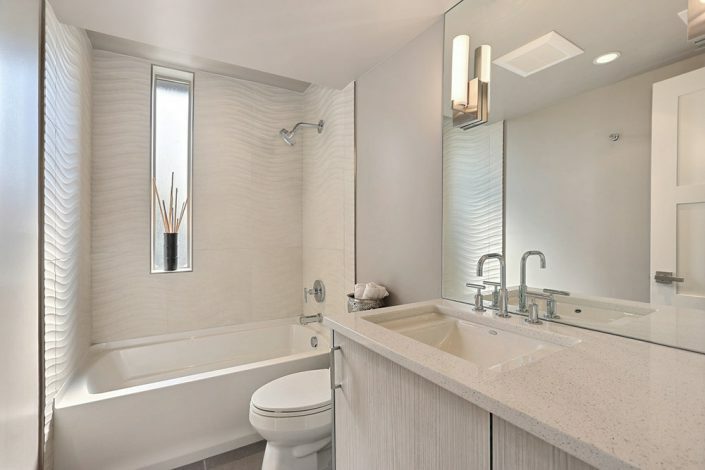 The unique feature of this townhome is what they are calling a “Wet Room” This is where the tub and shower are combined behind the shower wall. 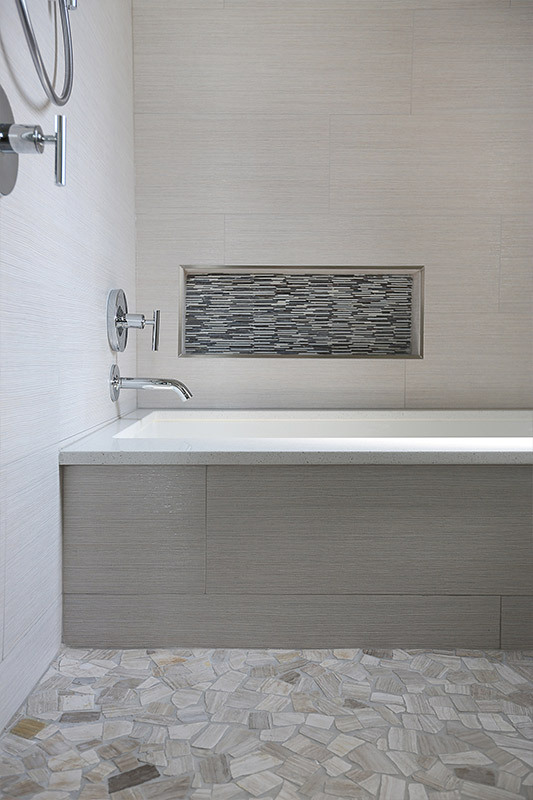 The wall tile is 12×32 and looks like grass cloth with an inset of thin stacked glass stones in blue and rose tones. 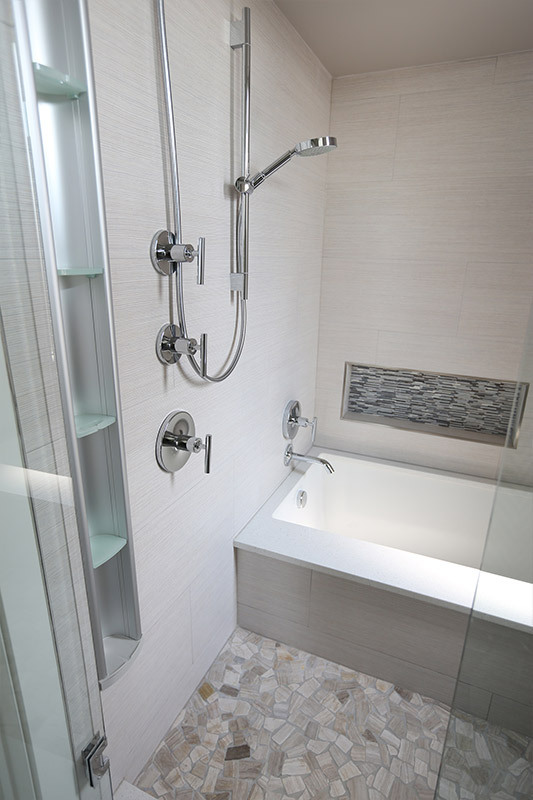 The shower pan is pieces of travertine tile. The cabinet is laminate with quartz countertops. 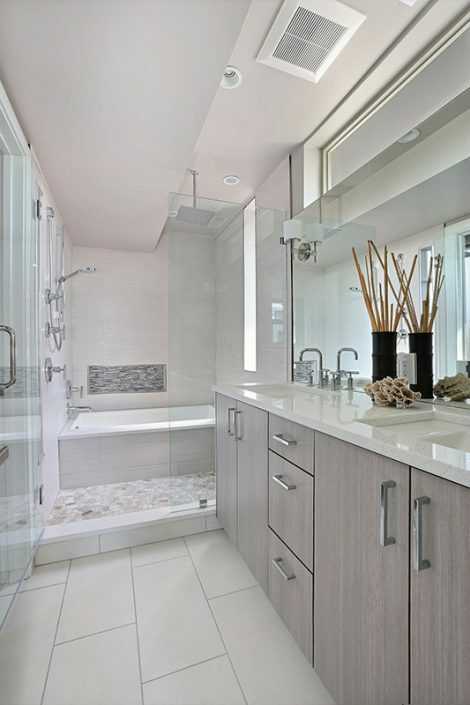 The look is light, clean and organic, having a natural feel versus cold and man-made. The guest bathroom has a 24×24 textured wall tile that looks hand carved. 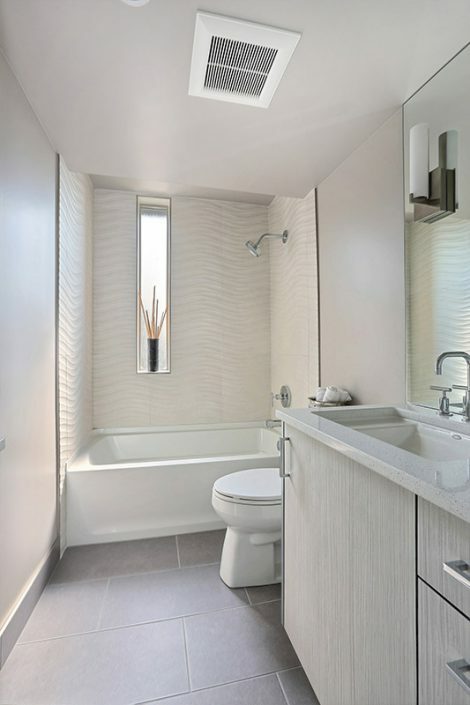 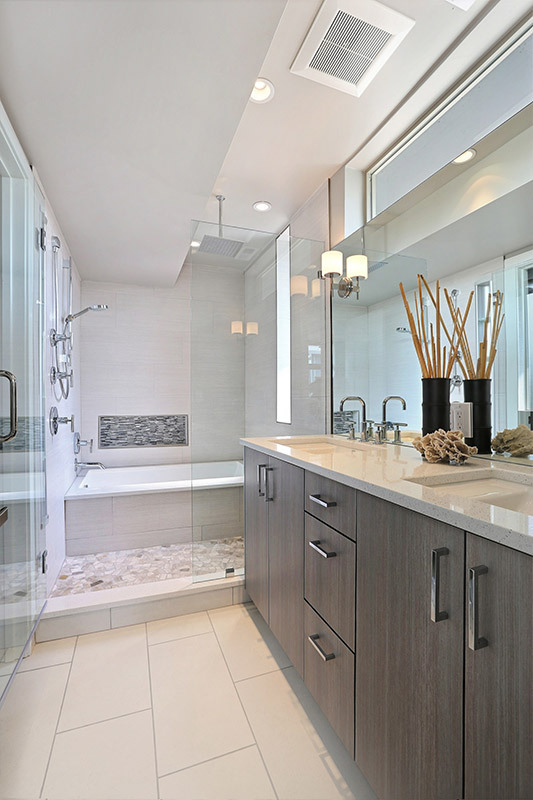 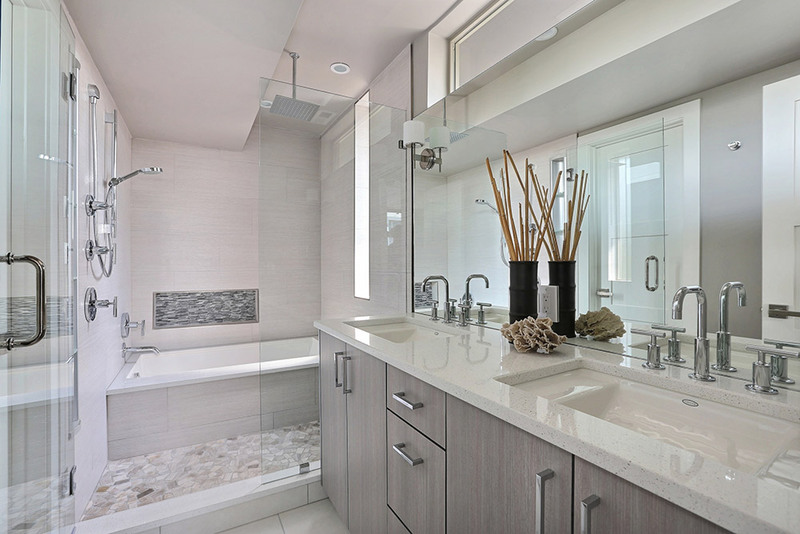 The powder room has an adorable mosaic glass and marble tile on the floor for that pop of interest in a tiny space.